Winter issue of Cycling Fitness magazine on sale now! The December-February issue of Cycling Fitness magazine is on sale now, packed with tips and advice on how to get fit over the winter months, including three new 12-week fitness plans. Winter is really the start of the year for bike riders. While the rest of the population make their resolutions in January, cyclists start making them in November. In this issue we have lots of ideas for sessions to do when the weather isn’t so great. Get on your turbo or to a spin class, or work on your core. If it’s too icy to ride on the road head to a field and practise fooling around on your bike so that your skills are up to scratch. Bad weather does at least ensure you are creative with your training sessions, and we’ll help you get the most out of the season. 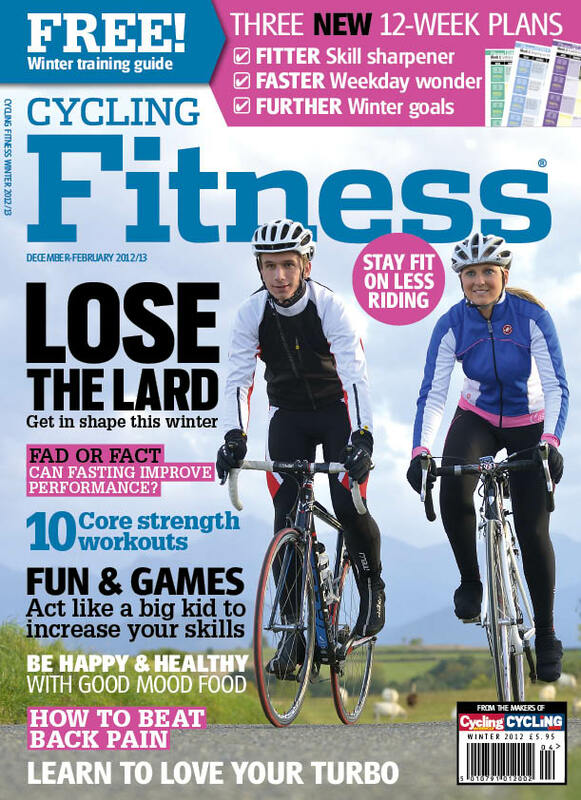 Cycling Fitness is on sale now from WHSmith, major supermarkets and all good newsagents priced £5.95.